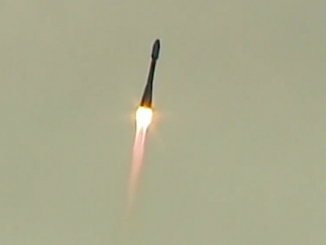 Three Russian military satellites arrived in orbit Wednesday after taking off from the Plesetsk Cosmodrome aboard a Rockot launch vehicle, a decommissioned ballistic missile modified for space applications. 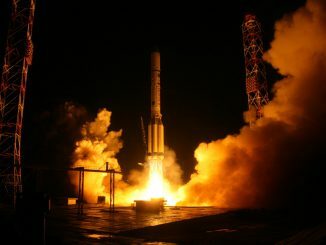 The Rockot launcher lifted off from the Plesetsk Cosmodrome, a military facility about 500 miles north of Moscow, at 2200 GMT (6 p.m. EDT) Wednesday, according to a statement issued by the Russian Defense Ministry. Military authorities identified the satellites as part of Russia’s Rodnik communications system, a fleet of spacecraft in low Earth orbit designed to link users stationed in remote locales. The booster’s two lower segments fired in the first five minutes of the launch sequence, then a Breeze KM upper stage ignited twice to propel the three satellites into orbit. The Russian Defense Ministry said the upper stage deployed the spacecraft according to plan, and ground controllers have established communications links with the satellites, which are performing normally. Tracking data released on the U.S. military’s Space Track website indicated three satellites attributed to the launch were in an orbit 1,500 kilometers (932 miles) above Earth inclined 82.5 degrees to the equator. The Russian Defense Ministry announced the satellites were formally named Kosmos 2507, Kosmos 2508 and Kosmos 2509, keeping with Russia’s naming scheme for defense-related spacecraft. 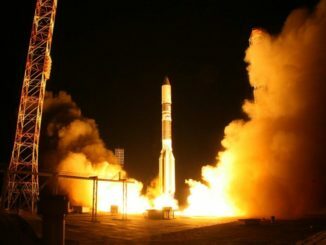 The launch marked the second flight of a Rockot vehicle this year, and its 24th flight since its maiden mission in 2000.